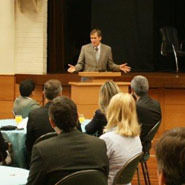 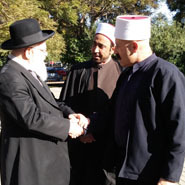 Tel Aviv, Israel—Some 70 students participated in an interfaith conference, co-organized by the Jerusalem Interfaith Forum, at the Hakibbutzim College of Education. 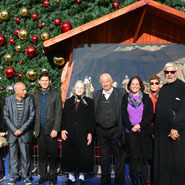 Nazareth, Jerusalem—In the spirit of Christmas and the New Year, 21 members of the Jerusalem Interfaith Forum visited Nazareth and the Wedding Church in Kafr Kanna. 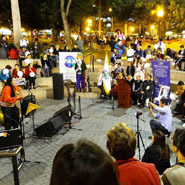 Lima, Peru—UPF-Peru continued its interfaith work by co-organizing an open air Peace Festival. 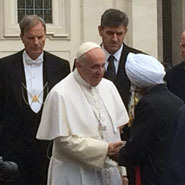 Rome, Italy—UPF took part in a celebration of the 50th anniversary of the papal statement Nostra Aetate on October 28, 2015. 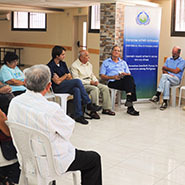 Jerusalem, Israel—The Levinsky College of Education and UPF held a special class discussion on the role of educators in times of high tension for students in the College’s excellence program. 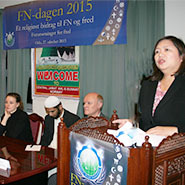 Oslo, Norway—UPF-Norway celebrated United Nations Day in partnership with Central Jamaat E Ahle Sunnat, the largest mosque in Oslo. 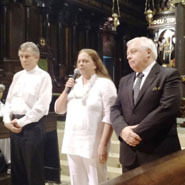 Haifa, Israel—More than 20 people gathered for the Jerusalem Interfaith Forum to express their mutual hope for and determination to continue their efforts to promote peace. 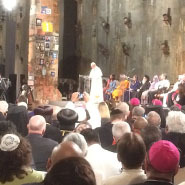 New York, United States—UPF participated in an interfaith program led by Pope Francis at the National September 11 Memorial and Museum. 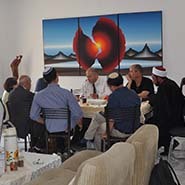 Jerusalem, Israel—The Jerusalem Interfaith Forum gathered at the newly-opened Israeli Peace Education Center to discuss and promote educational initiatives. 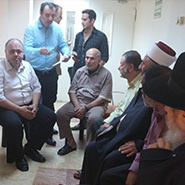 Jerusalem, Israel—Members of the Jerusalem Interfaith Forum visited a boy and his parents who were critically injured in an attack.